- 4 Realistic Thunder Sounds. 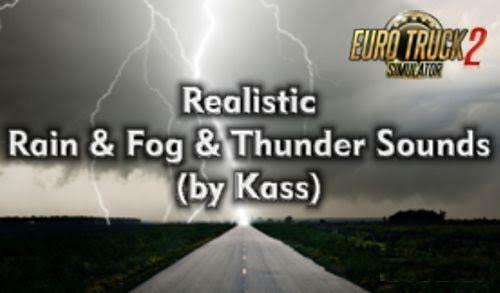 - Realistic Thunder Sounds Inside Cabin & Outside Cabin Of The Truck. - Realistic Rain Drops/Windshield Effects etc. - Works with some other Weather/Enviroment mods. and activate it As High Priority (Top). put Above any Other Environment, Weather, Sound Mod/s etc otherwise will not work as it should.